St. John’s Lutheran Church, 7877 N. Port Washington Rd. Glendale, WI. 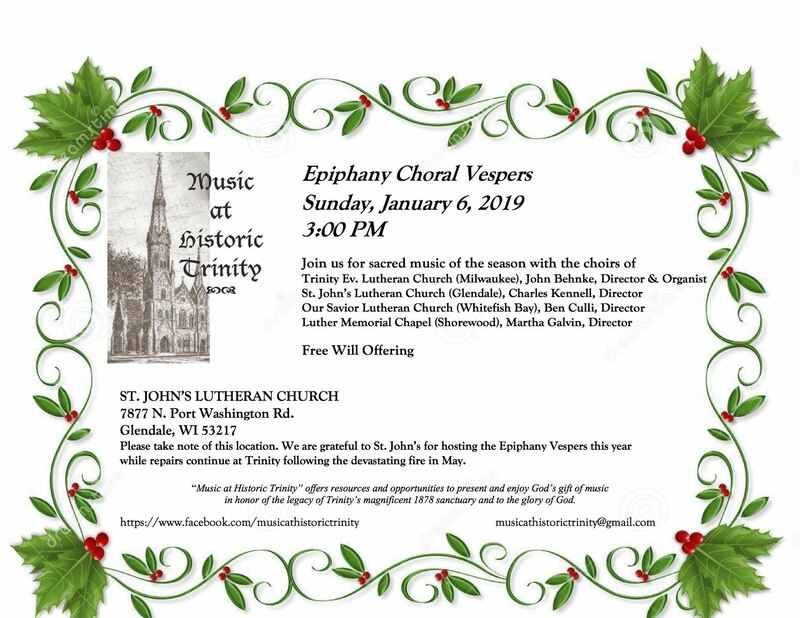 A musical Epiphany Vespers service with a combined choir from 4 churches, Dr. John Behnke, organist.